One of the things our family absolutely loves to do is go on adventures together. Jonathan and I were not experienced travelers by any stretch of the imagination when we got married, but one thing we decided we wanted to do in building our own family culture was to incorporate travel into our lives. This past month we had a trip planned to Southern California and this time we wanted to travel via Hwy 101 instead of I-5. (Best. decision. ever.) In researching ideas for places to stop and things to see, I noted that we could visit Jack London's Wolf House. But we couldn't do that without reading something by Jack London first, right? Not reading London before traveling to his house would be all kinds of wrong. The beginning of White Fang opens rather calmly and remains calm for at least a few pages. We meet two men and their sled dog team who are traversing the cold, Canadian wilderness. They are pursued by an ominously dangerous pack of wolves. There is a mysterious she-wolf whose job it is to lure the sled dogs away from the camp fire, after which they are, well, eaten by the pack. Then one of the men are eaten alive which pretty much justifies our fear of wolves and set us trembling through the rest of the story. Is this already too intense? It gets worse/better. The she-wolf (who is part dog) "becomes close friends" with a male wolf and the two produce a liter of wolf pups. Most of the cubs die off because there is not enough food for all of them. One pop survives and, as you might surmise, this pup is White Fang. White Fang and his mother live near an Indian village and it becomes apparent that White Fang's mother is no stranger to life in submission to a human "god" and White Fang himself learns to submit to the leadership of these gods. His wild nature becomes somewhat changed as he adapts to life with humans. "The hair bristled up on the grey cub's back, but it bristled gently. How was he to know that this thing that sniffed was a thing at which to bristle? It was not born of any knowledge of his, yet it was the visible expression of the fear that was in him, and for which, in his own life, there was no accounting. But fear was accompanied by another instinct - that of concealment. The cub was in a frenzy of terror, yet he lay without movement or sound, frozen, petrified into immobility, to all appearances dead. His mother, coming home, growled as she smelt the wolverine's track, and bounded into the cave and licked and nuzzled him with undue vehemence of affection. And the cub felt that somehow he had escaped a great hunt." "This helped the cub's courage, and though the woodpecker he next encountered gave him a start, he proceeded confidently on his way. Such was his confidence, that when a moose-bird impudently hopped up to him, he reached out at it with a playful paw. The result was a sharp peck on the end of his nose that made him cower down and ki-yi. The noise he made was too much for the moose-bird, who sought safety in flight. But the cub was learning. His misty little mind had already made an unconscious classification. There were live things and things not alive. Also, he must watch out for the live things. The things not alive remained always in once place; but the live things moved about, and there was no telling what they might do. The thing to expect of them was the unexpected, and for this he must be prepared." Due to the nature of the book - which focuses on a wolf's life in the wild and out of it - we readers are exposed to a lot of blood. Wolves hunt. Wolves kill. They bite with their sharp teeth and bring about pain and death. Jack London spends a lot of time talking about White Fang attacking the throats of his victims and life blood spilling out of the great vein. Having never read a London book before, I was somewhat taken aback, even though I loosely was aware of the story. Truly, it is a little graphic and after stumbling over a few such descriptions I noted that Bookworm1 was growing particularly uncomfortable. Actually, I didn't have to wonder about how he felt. A few chapters in and he emphatically stated that he would NOT under. any. circumstances. be watching this movie. If I felt that he had to, he would require me to preview it. I didn't blame him one bit! And after while I just edited those jaws of death. Instead of silent attacks with ears and throats being ripped apart I just started reading, "And White Fang killed him." This also sped up our read considerably as there are some rather long and frequent passages about wolves and dogs fighting one another. The end of the story, I am happy to say - (and Bookworm1 and everyone else is happy to say) - is a happy one. Least I scare you off, you should know that it is precisely the intensity of the story which makes it so compelling. We had to know how the story played out. We had to know it was a happy. We wanted to know that White Fang would survive victorious, and that he would be loved. All of this is so and it made for a satisfying read. On our travels we braved a wooded walk through the Jack London State Historic Park to see his Wolf House and we were rewarded for our efforts. 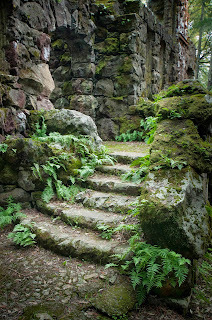 It is a magical, mystifying place and if you ever have a chance to visit it, we highly recommend it! Bookworm1 said he rather enjoyed seeing it and it was fun to visit after having read one of his works. We all talked about Jack London the man as something of a familiar friend. (Although honestly I don't think we would have been friends in real life.) Reading one of his books before visiting was an excellent decision as it made the entire place, and the person of Jack London, more real to us all. It's one of my favorite stops during our recent travels. Unbeknownst to us, one of my children's friends from church prayed that our family "would not be eaten" while traveling about the countryside. Thankfully we were not eaten and have lived to tell the tale of White Fang and take a walk through the woods. We are a very brave people, yes? To see pictures of our trip to the house, go HERE. I saw this with the boys ages ago - so much so that I don't remember much about it - but we never read the book. The probably would've liked the book, but I probably would've done some editing such as you did. Neat that you got to visit London's house right after reading the book! The only author's homes I have visited were Carl Sandburg's and Joel Chandler Harris's, mainly because they were nearby where we were living at the time. I'm having a hard time getting past "never read anything by Jack London before". No Call of the Wild, for real??? I do hope you'll give him another chance--I read that book multiple times as a child. He is a little vicious in his writing, but. . .well, nature can be that way (shrug). @Shonya - I know! I don't know how that happened, exactly. But I really don't think I've ever read anything by London before. Nature IS that way. Which is why we read the book. :) I in no way meant to suggest that one ought not to read London because wolves act like wolves. Rather, just a warning that a little editing might be necessary but no surprise should register for any reader. 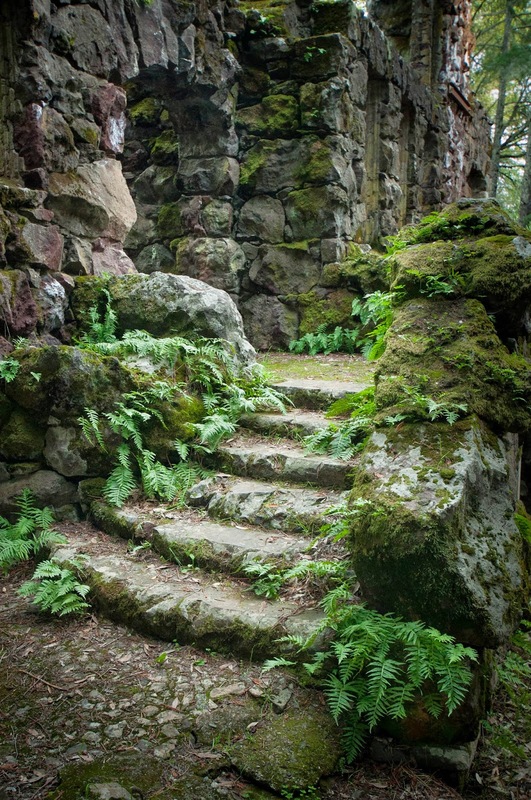 Reminds me of when we read Julie of the Wolves and I did a little editing there as well. Still one of our favorites from last year (in my opinion!) I am making a note of this one for us and I sure wish we could get to the wolf house - that would be so neat to see - and gorgeous photos! 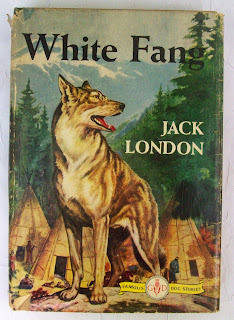 I've both read White Fang and seen the movie, but it's been so long that I can't remember how closely related they are. I don't remember the book being so violent, though! I should probably reread it before ordering a copy for my daughter. lol I've been thinking a lot lately about what to buy her in Mandarin and what in English, where we should start. I am dying to share my love of books with her, especially since I know she likes to read!